#BookDirect Day - 8 reasons to book your holiday direct with the owner. Do you know how much you're being charged when you book through an OTA? 1. No Booking or service fees - and on some sites, whilst the guest isn't not charged any fees the owner is charged a hefty amount of commission and many will add this on to the price so the guests still ends up paying more. 2. Accurate prices - many OTAs don't allow owners to be flexible with nightly prices meaning for short stays the holidaymaker is overcharged. 3. You can speak directly with owners not a faceless corporation and have plenty of opportunities to ask questions and ensure you are getting the holiday that suits your needs. 4. Going via the website often allows you to be more flexible on dates meaning you may get cheaper travel deals. 5. Owners often run special offers that are only available on direct bookings via their website. 6. Owners know their local area really well meaning they can help you plan your holiday. You won't get that level of service from an OTA - they just want your money! 7. If you have any specific needs, such as mobility, the need to access medical care etc the owner can help. 8. You will be supporting a family run business and promoting the local economy, not lining the pockets of the CEO and shareholders of the OTAs. 9. Some owners do not advertise on the large booking sites so you may well never find some of the best holidays. We don't advertise on either Booking .com or any of the sites in the HomeAway group. 10. Many owners offer secure credit card options for payment ... including us now at Eco-Gites of Lenault! Some people are worried they might get scammed and the OTAs have actually worked hard to promote that false message. Stories in the press of people losing money when booking direct make great eye catching headlines and content. A headline saying thousands upon thousands of holidays were booked direct without any problems does not make a good headline or sell newspapers! The fact is you are extremely unlikely to get scammed through a direct booking and taking a few precautionary steps can ensure all will be well. 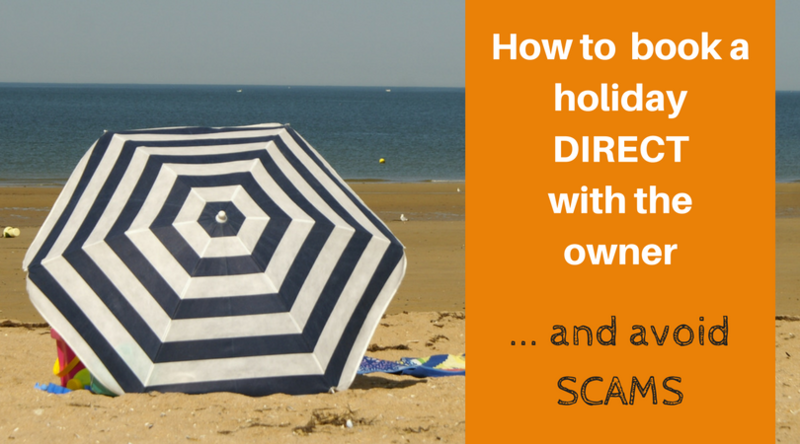 You can find these tips on this blog post I wrote a while ago - Protecting yourself when booking a holiday direct. If you think more people should be booking their holidays direct please do get behind this campaign. 1. 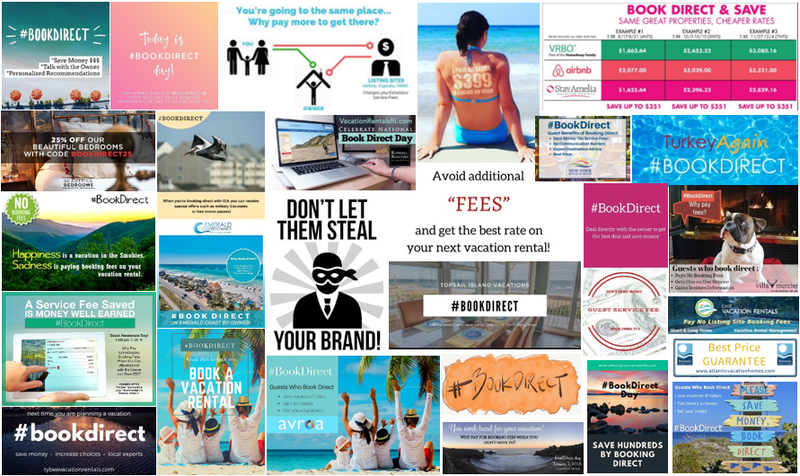 Look for the hashtag #BookDirect on social media where you can like, comment on and share posts. 2. Share this post on your Facebook/Twitter pages. 3. Join Facebook holiday groups where you can find owners who all offer direct bookings. I am one of the admins on Book Your Holiday Direct with the Owner and our group has over over 5.5k members promotes over 1300 holiday rentals throughout the UK and France with a few also in Ireland. 4. Like Facebook pages that support direct bookings and local tourism. 5. And the BIG one - book a holiday direct at Eco-Gites of Lenault. Thank you and let's save holidaymakers some cash and give control back to holiday home owners.